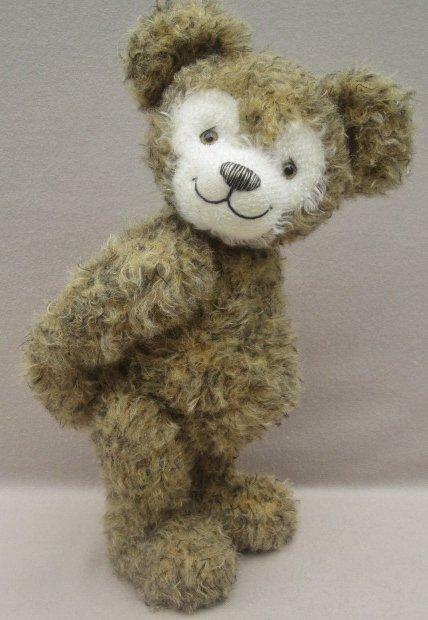 Dumplin is a 17” bear made of variegated, matted mohair fabric, with an inset face made of trimmed ivory mohair fabric. He is 5 times bolt/disc jointed with lock-lined arms and legs attached to the joints for maximum positioning. He has golden iris-black centered, glass eyes and needle sculpted leather pads. He is a limited edition of 10 for 2012.